Mortgages are not rocket science. However, lenders especially do like to wrap up a relatively simple process into a more complicated, jargon heavy transaction that can leave you frothing at the mouth half way through the process when they ask you for another piece of paper! 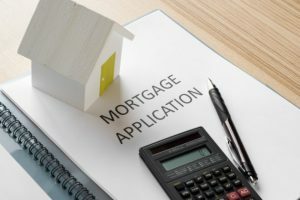 There are some things you can do to help in preparation of applying for a mortgage to make the process easier and it is a good idea to keep track of your credit score as early as possible. Making sure you pay all your credit cards and bills on time and that you are registered on the voters roll where you live makes all the difference. It would also be a good idea to avoid taking out that car loan or whacking your holiday on a credit card before you apply for a mortgage. Make sure your bank statements are all in order, avoid going outside of any overdraft limits and, if so inclined, lay off the betting sites for at least three months! To ensure a smooth process, it really is all about the paperwork and getting it right day 1 can literally save days if not weeks. Lenders like to see your last three years’ address history, (no gaps), your last three months’ payslips and last P60 or three years’ accounts, your last three months’ bank statements and full details of any loans or credit cards you have. Now, most are relatively simple things, but proof of income can be the most confusing part for those who do not just tick a box. If you have a shareholding of 20% or more then most lenders will treat you as self-employed and want to see accounts, even if you do have 3 months of pay slips as an employed director. Often you’ll need to provide two or even three years of accounts and you’ll need to provide your last 2 or 3 years SA302’s as well. These can be obtained from your accountant or the Revenue directly. You can now get the required Tax Calculation and Tax Year Overview most lenders require from logging on to HMRC online. If you are a contractor then lenders generally will want to see at least your current contract and may well ask to see your last 2 years’ worth, so it is a good idea to keep a copy of all your previous contracts handy. Now this is not exhaustive and we appreciate that it’s not easy to provide everything right away, but if you have been organised and meticulous you’ll get feedback on your application much faster. We recommend keeping your documents in a safe place to keep them organised.